Last Friday we submitted the first iPad issue of RainyDayMagazine to Apple for approval. The issue was constructed using a beta version of Adobe’s DMP tools. Future issues will be published quarterly and available for download from the App Store. 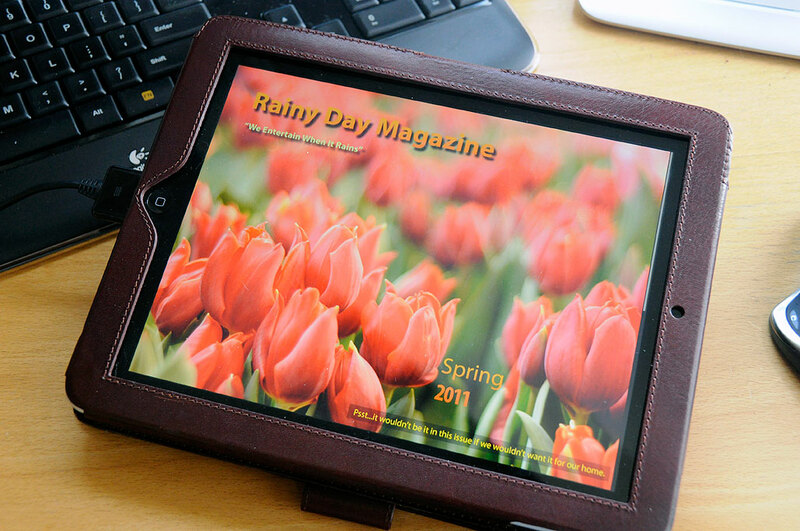 Our goal for RainyDayMagazine on the iPad is to leverage the unique capabilities of the device to enhance the digital magazine experience for our readers. We want to make it seamless for readers to move amongst the articles, the web, advertisments, and rich media (video, audio, etc…) in a cohesive richer-than-print digital environment. 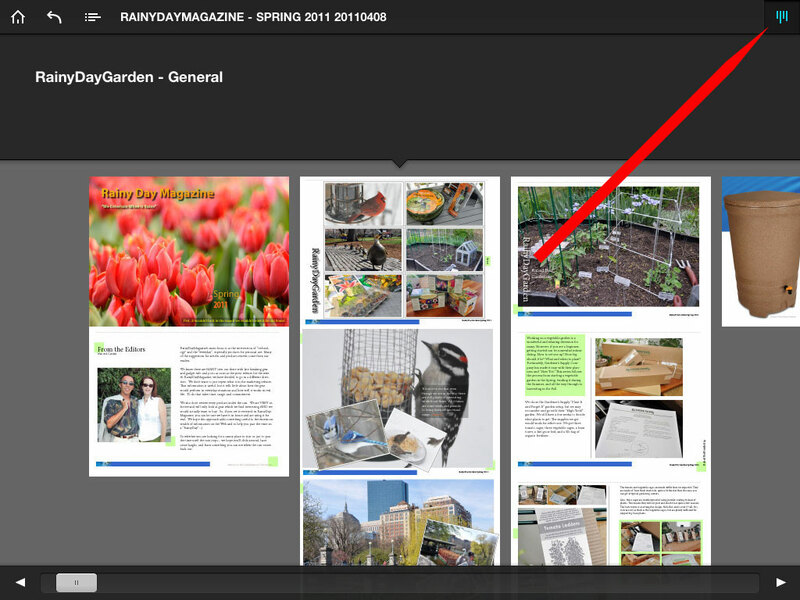 There are two types of articles in the iPad version of RainyDayMagazine: Abstracts and Feature Articles. The abstracts are brief snippets of the full articles on the website. When connected to the Internet, tapping on an image will typically bring up the full screen version of that image; tapping on the background will bring the reader to the full article on the RainyDayMagazine site. The Feature Articles are self-contained within the iPad issue. On the top and bottom of any page (except advertisments) are hidden navigation controls (Top:Home, Back, Table of Content, Overview; Bottom: slider). Tapping the top or the bottom of the page will make the controls appear. Tapping the Home control will bring the reader to the Front Page. The slider enables the reader to quickly move across different articles. If an article spans more than one screen, a gray indicator bar will appear on the right side of the page. Readers will notice that even the advertisements in the iPad issues have a more magazine-like look. Clicking on the full-screen ad will take readers directly to the advertiser’s site for more info on the item. However, unlike the typical web-page ad, readers will still stay “inside” the current issue of RainyDayMagazine and will find themselves where they were whenthey are done browsing the advertiser’s site. The iPad is an amazing device and its potential is just starting to be explored. We knew when we unpacked our first iPad that we wanted to be a part of this revolution. Over the course of this year, we will be trying different things, keeping what works, smoothing out the rough edges, and continuing to push the boundries in this brand-new space. Let us know what you like, what you don’t, and what you would like to see more of. Most of all, we hope the iPad version will contribute to and enhance your overall enjoyment of the RainyDayMagazine experience. UPDATE: The Spring 2011 iPad issue has been approved by Apple and is now available for download.